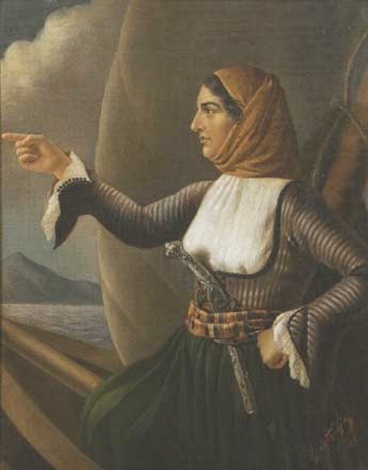 Laskarina Bouboulina (11 May 1771 – 22 May 1825) was a Arvanite naval commander, heroine of the Greek War of Independence in 1821, and an Admiral of the Imperial Russian Navy. She married twice, first Dimitrios Yiannouzas and later the wealthy shipowner and captain Dimitrios Bouboulis, taking his surname. Bouboulis was killed in battle against Algerianpirates in 1811. Now 40 years old, Bouboulina took over his fortune and his trading business and had four more ships built at her own expense, including the large warshipAgamemnon. 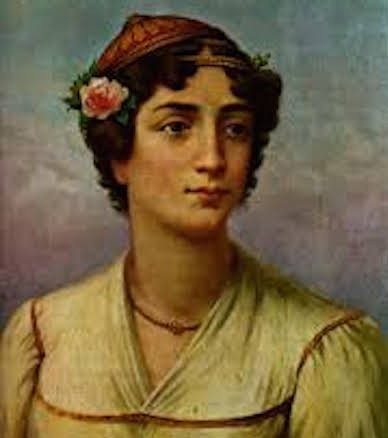 In 1816, the Ottomans tried to confiscate Bouboulina's property because her second husband had fought for the Russians against the Turks in the Turko-Russian wars. She sailed to Constantinople to meet Russian ambassador Count Pavel Strogonov and seek his protection. In recognition of Bouboulis's service to the Russians, Strogonov sent her to safety in Crimea. 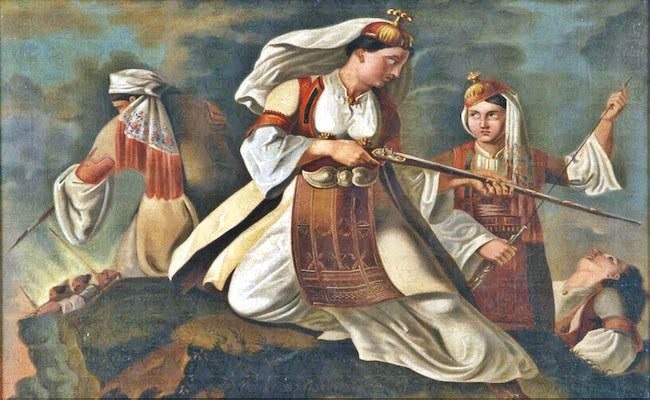 She also met with the mother of Mahmud II, who afterward reportedly convinced her son to leave Bouboulina's property alone. After three months of exile in the Crimea, Bouboulina returned to Spetses.